Business Assist is the realistic answer to all of your businesses online administrative needs. With my proven skills and experience I can save you time and money. After a short “getting to know each other phase” most tasks can be taken care of with just one phone call or email. According to the United States Census data, the median wage in 2003 for executive secretaries and administrative assistants was $15.42 per hour. When you combine this figure with the additional overhead costs of employee benefits, worker’s compensation insurance, unemployment insurances, taxes and other expenses, the cost of hiring an experienced administrative assistant is inflated well above the cost of working with Business Assist. 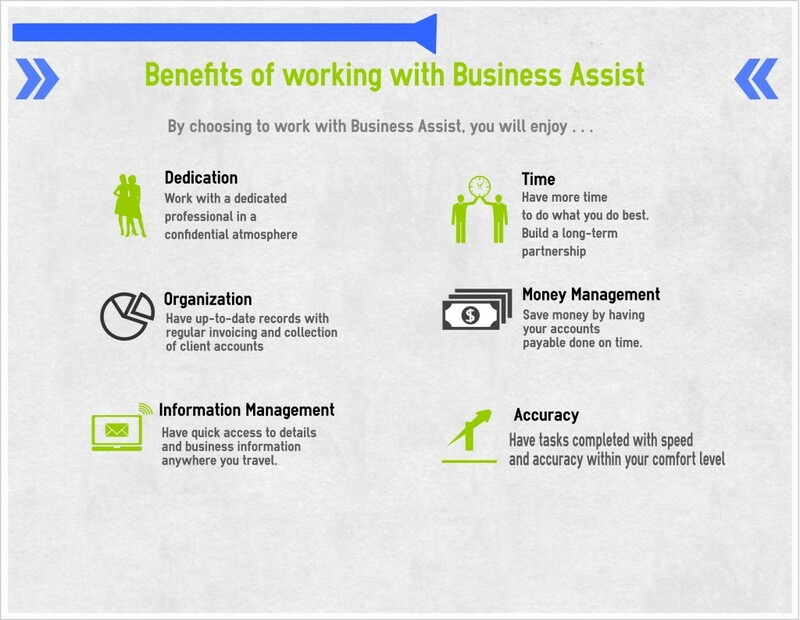 Still wondering how you and your company will benefit from using Business Assist? See frequently asked questions to find answers to some of the most often asked questions. Contact me with any other questions you may have. I am always happy to discuss how I can help YOU build and expand your business! “Jaylene runs the back end of my first Business, Academic Ladder. I’ve tried working with several VA’s in the course of operating my second business, Finish Agent, and I’ve always come back to Jaylene. None have been as reliable, capable, personable, and just all-around wonderful as Jaylene. I always know I can count on her. Now I know not to take her qualities for granted!” – Gina Hiatt, Ph.D.